Grand Condotel Jomtien. 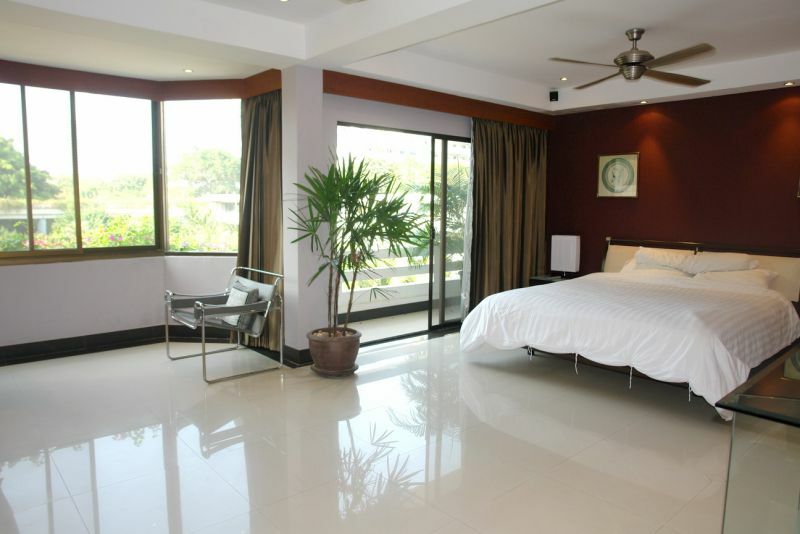 Located in the grounds of the popular Grand Condotel Development on Dongtan Beach is this modernised 3 storey townhouse, which has just received a renovation. This large and modern townhouse with floor area of 450m² comprises of 4 bedrooms, some having their own balcony with views over the gardens and the pool. 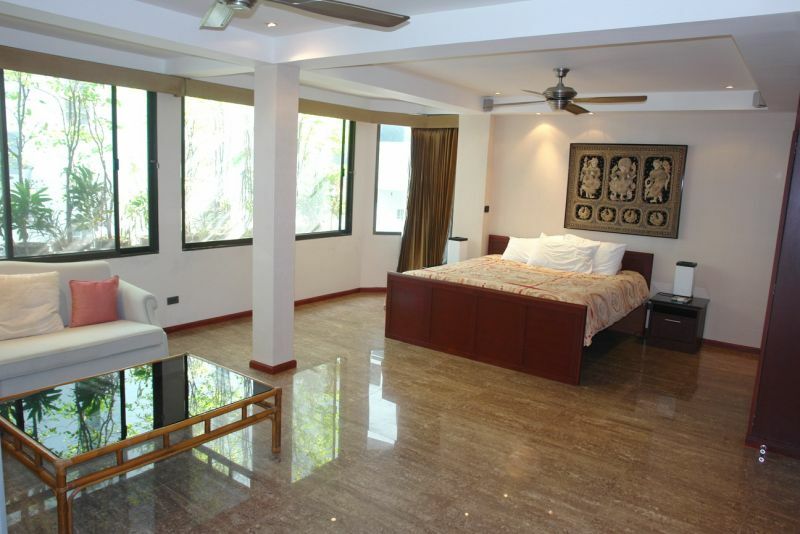 It also features a large living and dining area, equipped European style kitchen, luxury bathrooms, air conditioning throughout and plenty of storage area. A large open air terrace is located on the top floor of this home which allows for a place to relax, unwind and enjoy the cool sea breeze!! The development itself is beachfront and also offers access to tennis courts, swimming pools, gym, sauna, direct beach access and 24-hour security. 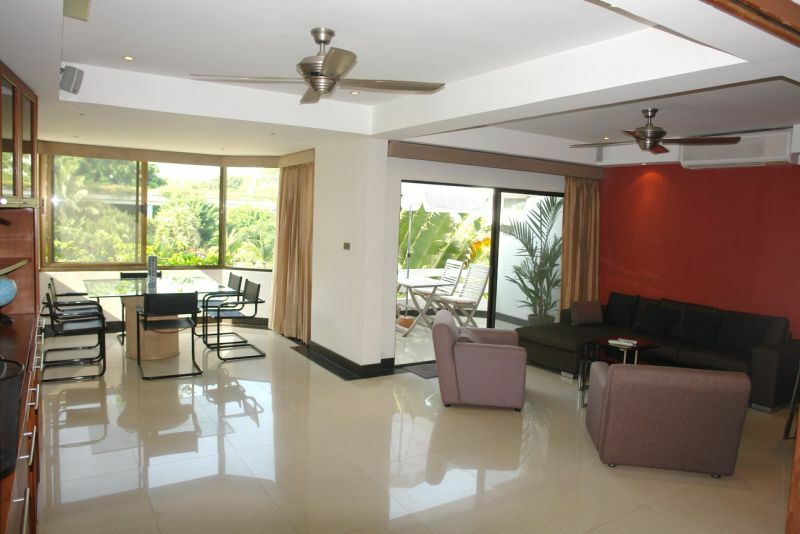 Walking distance to all the local and international restaurants, transportation, shops and nightlife. 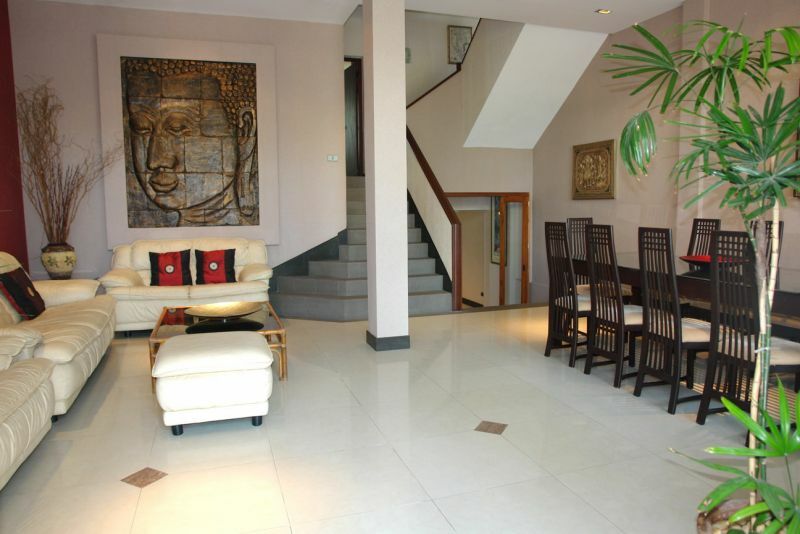 This home is sold fully furnished with title deed held under a Thai Company and makes for easy transfer to foreigners.